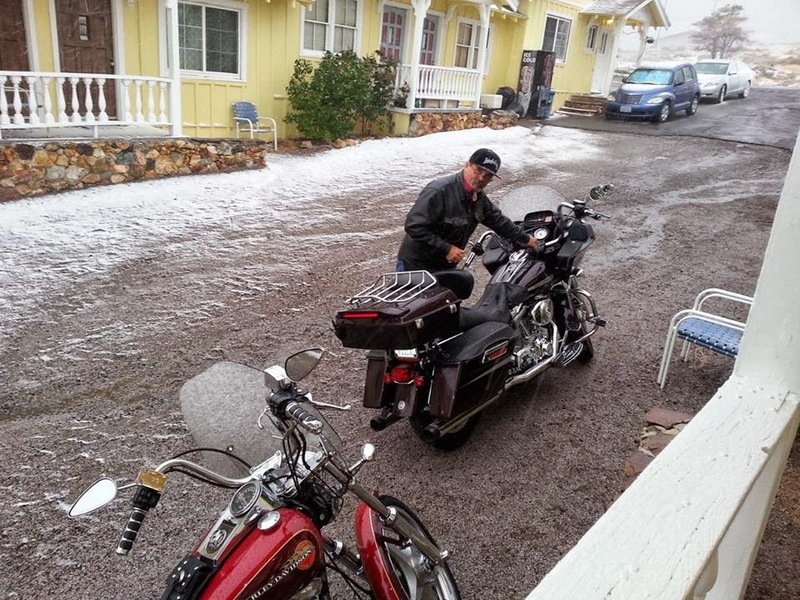 Riders were shocked to arrive to Virginia City for the STREET VIBRATIONS® FALL RALLY amid a dusting of snow. "We rode up the hill into Virginia City and it started snowing. Our friends Bob and Grace came from the other side and were covered in snow going through town. People were taking pictures of them as they rode through," wrote rider Diane Somers. She was surprised along with Joe Halcomb, seen in her photo, to arrive to the annual rally with such cold conditions. "Made Virginia City inspite of the wind at the end of the day, just in time for a cocktail. Haven't had a bad time yet," Joe declared. The forecast for the weekend is sunny, but cool, with temps only reaching as high as the mid-60's for the entire weekend. Riders and rally attendees are grateful that there is no rain or snow expected until next week. Attendance is down, according to some sources. Vendors are not seeing the traffic they expected, but with weather conditions improving, they remain hopeful. This is the 4th largest motorcycle event in the country with events and appearances scheduled in downtown Reno, Sparks, in downtown Carson City and in Virginia City.